Katharina Pfützner holds a degree in industrial design, jointly awarded by NCAD and the University of Limerick (1998). After spending some years practicing design in a Dublin-based consultancy, she returned to NCAD to follow her interest in socially responsible design and to teach – initially on a part-time basis in the Department of Industrial Design and in the Faculty of Visual Culture, and from 2004 as EPL in Industrial Design. Her research interest led her to embark on a doctoral project that examined industrial design practice in the socialist German Democratic Republic. The resulting thesis, ‘Functionalist Industrial Design Practice in the German Democratic Republic’, was completed in 2012. Katharina’s work in this area has been presented at international conferences and variously published, most recently in the form of a book, Designing for Socialist Need: Industrial Design Practice in the German Democratic Republic (Routledge, 2017). 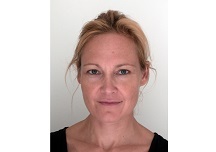 Katharina’s teaching interests span a wide range of socially responsible design practices, including design for environmental sustainability, inclusive design and design for specialised needs, as well as non-commercial practices, such as design for debate. In addition to supervising undergraduate and postgraduate projects in what is now called the Department of Product Design, she also occasionally teaches design-related modules in the School of Visual Culture. Between 2010 and 2014 she was a member of the editorial board for the Irish visual and material culture journal Artefact. Marcel Breuer, (Karl) Clauss Dietel, Konstantin Grcic, Erich John, Ingo Maurer and Wilhelm Wagenfeld in Bloomsbury Encyclopedia of Design, ed. Clive Edwards (London: Bloomsbury Academic, 2015).